Our new clearspan marquees are made with the highest quality frames, which are perfect for both traditional and modern weddings, festivals, shows, special occasions, sporting events, graduation leavers days, hospitality and exhibtion structures, and will create a stunning venue for you. The frames are erected in 3m sections and can be built on virtually any surface giving you multiple options. Whether your event is to cater for anything from 20 to 1,000 guests, or more, we are able to build a bespoke marquee for you. They can also be attached to buildings if you already have a barn, hall or indoor area, this can give you that extra bit of space where needed. Whatever the occasion a marquee can provide an extraordinary and individual space to celebrate your wedding or event anywhere. 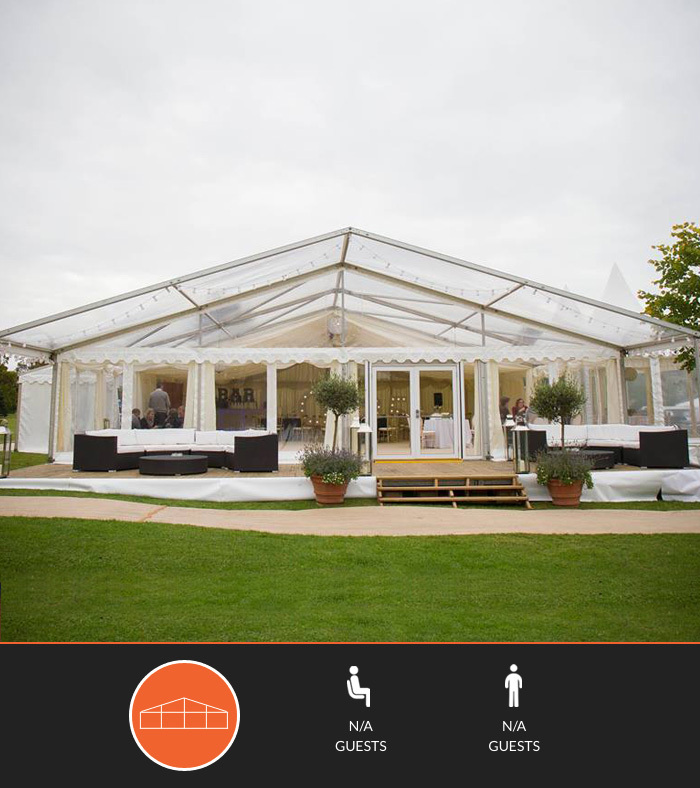 No central pole, means there is a clear space inside the marquee with an unobstructed view, providing a blank cnavas to creat your oven beautiful wedding or event. Will the marquee have hard flooring? Our marquees come with sub flooring, this means we build the structure up on chocks to create a level base. This allows us to build on areas that slope or are uneven. Get in touch now for a free consultation – let us know your hopes and wishes for your event or special occasion and then we’ll talk you through our extensive range of services!